This year got off to a slightly confused start creatively. My next-to-be-published novel The Legacy of Lorna Lovelost had been completed towards the back end of the previous year, and after a pleasant, relaxing Christmas I got stuck into a long, involved outline for a novel I was wanting to write called Recalling Calloway Vaughan. The outline was completed after a couple of months—but it wasn’t quite what I was hoping for. I stood back and looked at it from different angles, loved certain aspects, liked others, but still felt that something I couldn’t quite identify was missing (something I still haven’t put my finger on). And so I set it aside and played with other ideas—and in so doing stumbled upon Juniper Faraday. Juniper was, I knew right away, an unusual lady. Convicted seven years before I “met” her of braining her husband to death with a ball pein hammer—never having pleaded her innocence or offered any kind of defence—it was immediately obvious that she had an unusual story to tell. And—lucky me!—it seemed that she wanted to tell it to me, through journalist/biographer Martin Blight. 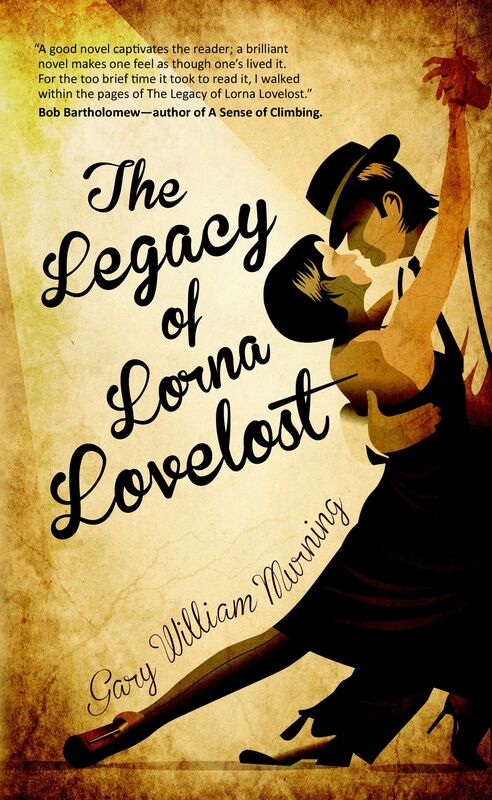 I was a little concerned initially about this particular novel: The Legacy of Lorna Lovelost had been such a joy to write, one of the most moving and amusing writing experiences I’ve ever had, that I was worried I might not be able to follow it. It was immediately apparent that Juniper Faraday was going to be very different novel, though, and that the enjoyment would come from different places within the work. So when can we read it? I hear you all eagerly asking (or maybe not). Well, not for a while, yet. At this stage I can only say it will be 2014 at the very earliest—though there is The Legacy of Lorna Lovelost to look forward to in October of next year and As Morning Shows the Day (a long novel I wrote in 2009) might seem light of day sometime soon, too. 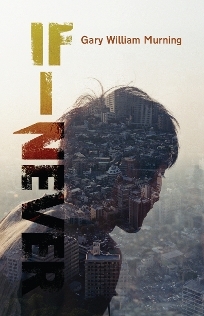 Possibly as a Kindle exclusive initially. In the meantime … keep dropping by: early next year free chapters of The Legacy of Lorna Lovelost will be available through this website. Roundup of the Week—Interview and Mountain Moving Mindset Success Story Feature. Posted in: Literature, novels, Publishing., Recalling Calloway Vaughan, The Legacy of Lorna Lovelost, The Realm of the Hungry Ghosts, Writing.. Tagged: Frederique Murphy, Gary, Gary William Murning, Murning, novel, Paul Auster, Publishing., Recalling Calloway Vaughan, The Realm of the Hungry Ghosts, William, writer, Writing..
As many of you will know, I’m currently in that rather hectic place between projects—a place that finds me doing more edits on The Legacy of Lorna Lovelost, arranging promotional bits and pieces for The Realm of the Hungry Ghosts and preparing for my next project (which I hope to begin writing some time in April) Recalling Calloway Vaughan. It’s exciting, this much has to be said. But it also very easy to lose track—to feel as if you’re getting nowhere fast. So, a short summary of what’s been happening this week. The latest round of edits on The Legacy of Lorna Lovelost are close to completion. Extremely happy with this project. 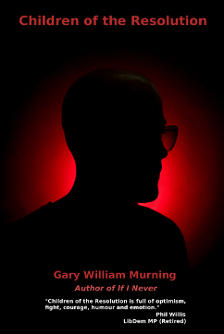 Expecting publication sometime between March and September 2013. A few more promotional website “appearances” have been arranged in my Hungry Ghosts Blog Tour (anyone else interested in hosting/interviewing me, please give me a shout). I managed to answer a few of the questions I still had regarding Recalling Calloway Vaughan. The chapter outline is already complete, but I have been a little uncertain about how best to approach it from a stylistic point of view. As I mentioned in an interview, recently, this is probably going to be my most post-modern piece to date, but don’t want it turning into Gary William Murning does Paul Auster. I now know how best to avoid this. The Realm of the Hungry Ghosts. What’s it about and where did you get the idea from? It’s very much about the driving need that we as individuals have to constantly strive for more. The driving force, I guess, behind cultural development, the building of civilisations and so on – but also, when given free rein, the possible architect of dissatisfaction and despair. 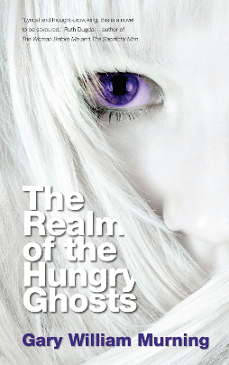 Hungry Ghosts are taken from The Tibetan Book of the Dead. They have these huge cavernous stomachs and are constantly hungry. They also have, however, very small mouths (or thin necks, in some versions), so they can never consume enough, quickly enough, to satisfy their appetites. Although I don’t use these specific ghosts in any literal sense, I like that image. And so I started playing with it, settling on a fairly suburban setting – a very ordinary family, a group of friends who, like said family, have problems of their own, and the discovery of an old diary buried in the back garden, a diary that belonged to a rather hedonistic occupant of the asylum that used to stand where the housing estate in the novel now stands. It’s a pretty full on novel. Lots going on, lots to think about, and it’s probably my most complete novel to date. To use the vernacular, they go on quite a “journey”. Dreaming isn’t enough. Sitting back and waiting for things to happen will only very rarely achieve anything. Yes, vision is of vital importance. Without it the incredible developments we see around us every day wouldn’t even get onto the drawing board, never mind off it. But without commitment to hard work, to putting one’s shoulder to the wheel, all the dreaming in the world will be in vain. These things I was fortunate enough to learn very early in life.